NIU’s College of Engineering and Engineering Technology (CEET) will host engineering and technology companies from across the region from 11 a.m. to 3 p.m.Thursday, Feb. 20, for a jobs and internships fair. Companies looking for full-time and internship positions should consider attending at the NIU Engineering Building on Garden Road. Each semester more than 300 CEET students attend the fair prepared to find positions with companies partnered with the college. Past fairs have been successful events for engineering and technology students, as more than 95 percent of CEET undergraduates secure employment within two months of graduation. 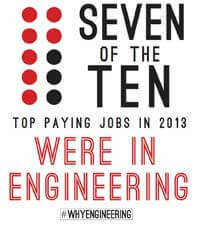 It is estimated that companies spend close to $30,000 placing entry-level engineers, making the partnership between a company and the university particularly important. Companies that attend the fairs, sponsor student organizations or fund senior design projects gain direct access to students with sound theoretical knowledge as well as access to real-world learning opportunities. Undergraduate students who use the fair as a way to secure internship opportunities immediately position themselves for success in their professional lives. Not only do students gain access to the challenges of the workplace, but students also secure an understanding of the workplace culture and experience an easier transition upon graduation. Companies interested in attending the fair should visit the registration page for more information. Students wishing to prepare for the networking event can attend a series of workshops hosted by the College of Engineering and Engineering Technology. 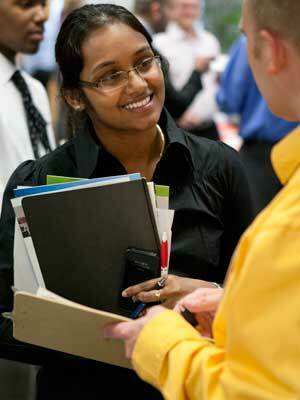 For more information, visit CEET’s career services web page or email acarrier@niu.edu.